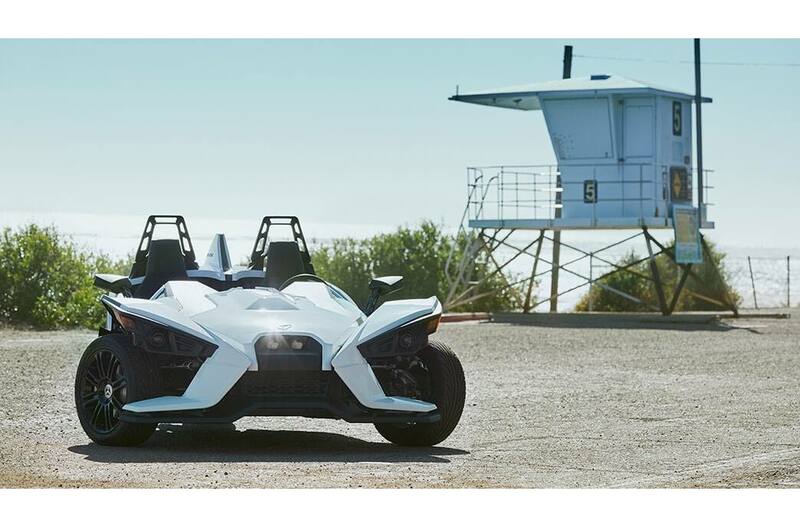 Head-turning style: Slingshot's unmistakably unique styling flows into the equally sporty cockpit that features premium cut & sew seats. There's simply nothing like it. 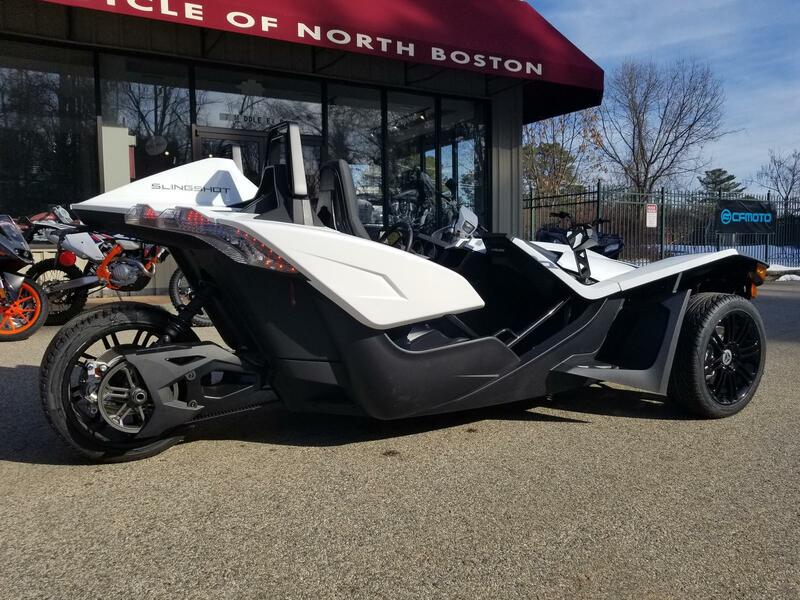 Confidence Inspiring: Safety features include a reinforced steel tubular frame, ABS Brakes, Traction & Stability Control, electronic speed-sensitive steering, 3-point seat belts, and forged aluminum roll-hoops so you can ride with performance and safety. 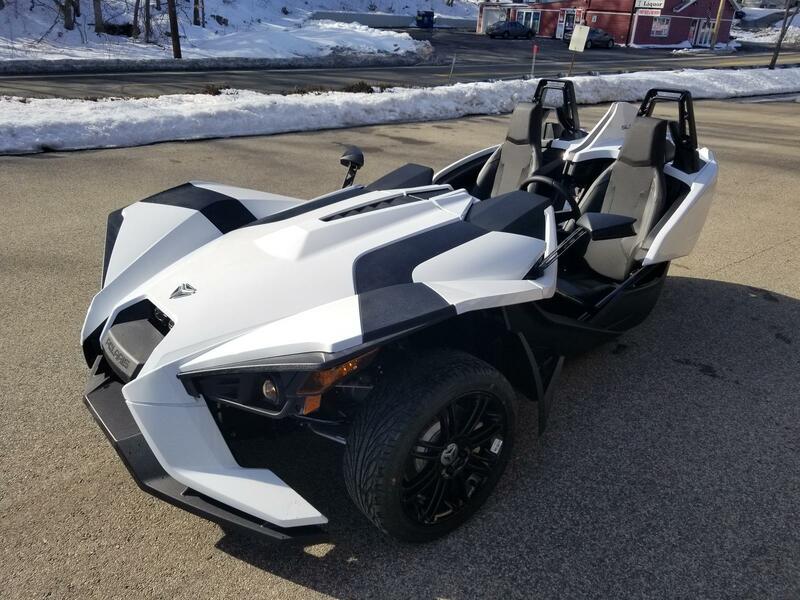 Equipped to Joyride: Slingshot comes standard with a GM 2.4L 4-cylinder engine that provides 173 horsepower & 165-ft-tq, with a curb weight under 1,750 lb., creating a power-to-weight ratio that'll put a smile across your face every time you ride. 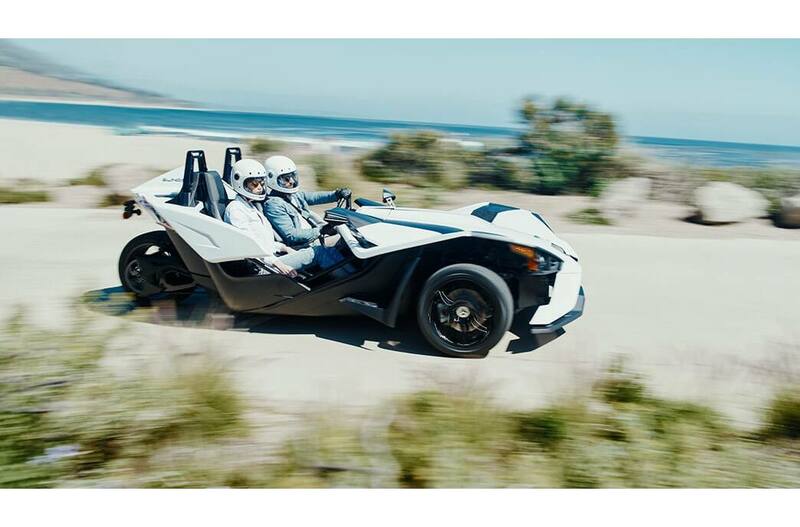 Fun in its purest form. 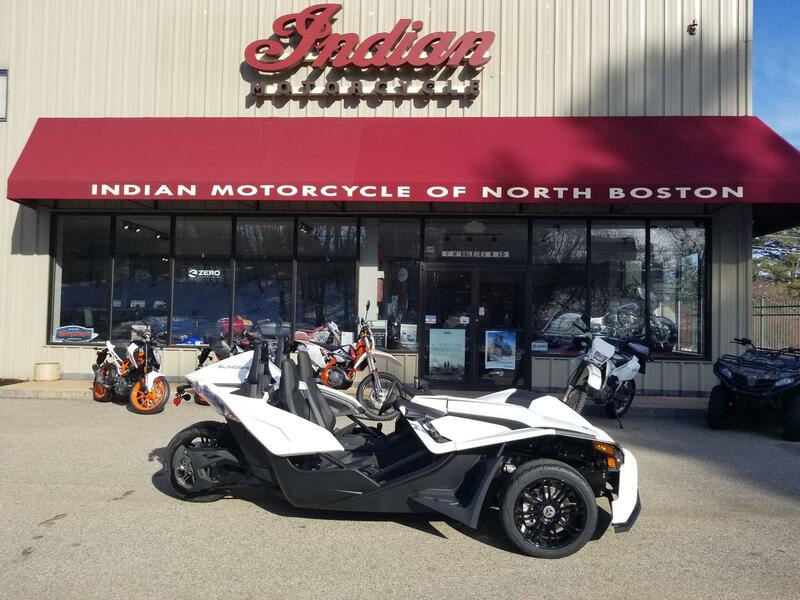 This is a limited time offer which is valid for the purchase of selected qualifying models and is subject to credit approval on qualified purchases financed during this program. Offer may not be combined with certain other offers, is subject to change and may be extended or terminated without further notice. 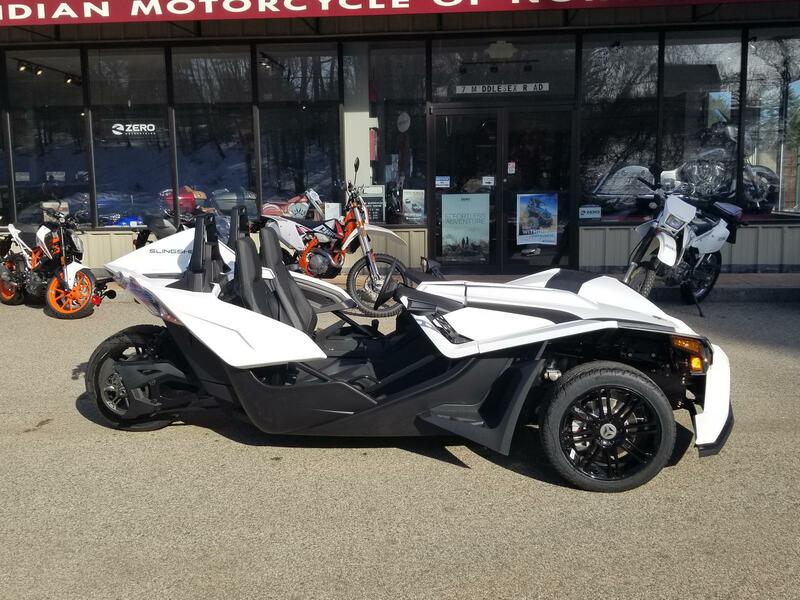 Offer available through Synchrony Financial, Sheffield Financing, or Performance Finance and valid on new 2018 Slingshot models. Monthly payment and cost of borrowing will vary depending on amount borrowed and down payment/trade. Minimum amount to finance is $5,000. 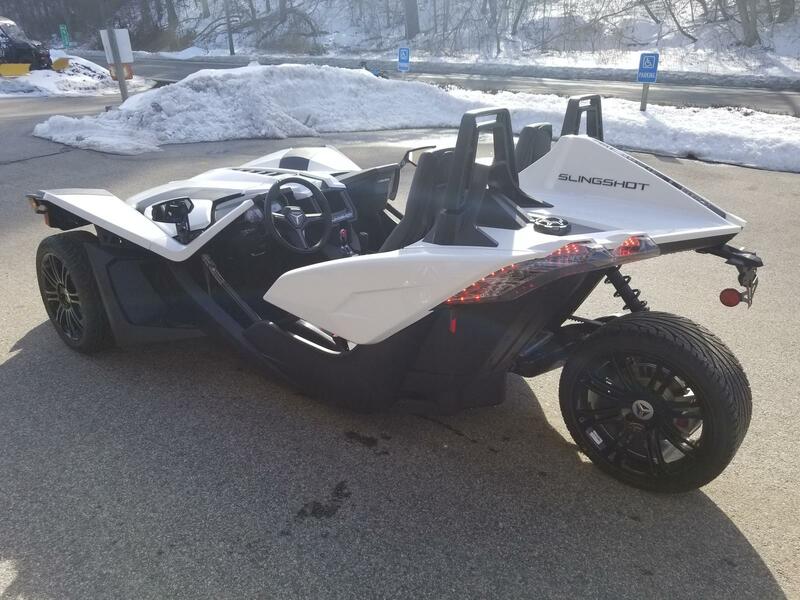 Example for MY2018 Slingshot SL: $25,499 financed at 2.99% APR over 60 months = 60 monthly payments of $458.07 with a cost of borrowing of $1,985.22 and a total obligation of $27,484.22. Monthly payment examples exclude tax, title & other fees. See participating retailers for complete details and conditions. Offer valid March 1 - April 30, 2019. 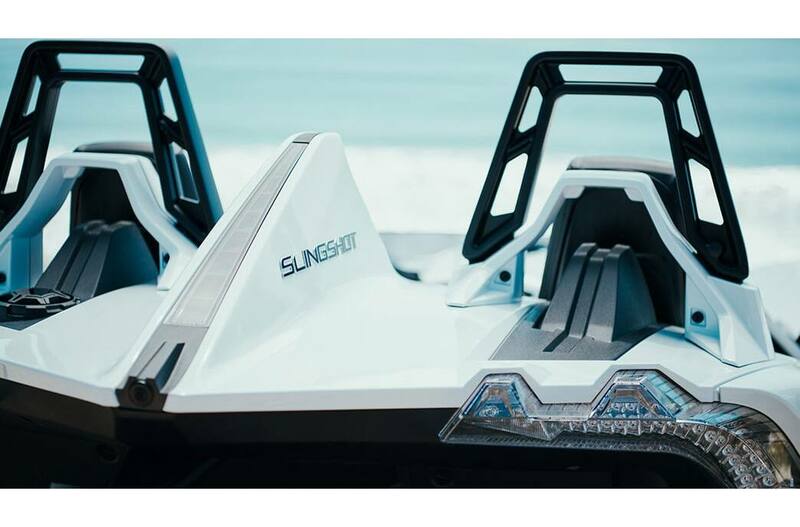 Offer valid only in the U.S. on new, unregistered 2018 Slingshot models purchased March 1 - April 30, 2019, and does not apply to prior purchases, racing, fleet, rental, or modified vehicles. 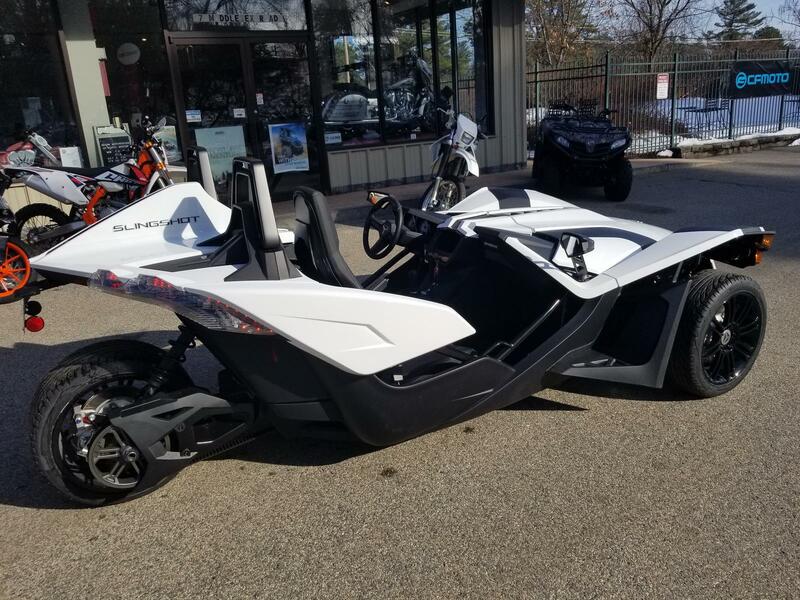 5 year Limited Warranty is promotional coverage which consists of 24 months factory warranty, plus 36 months Slingshot Protection Promotional Limited Warranty for a total term of 60 months. In all states, including Florida, this is given as a free of charge Promotional Limited Warranty. 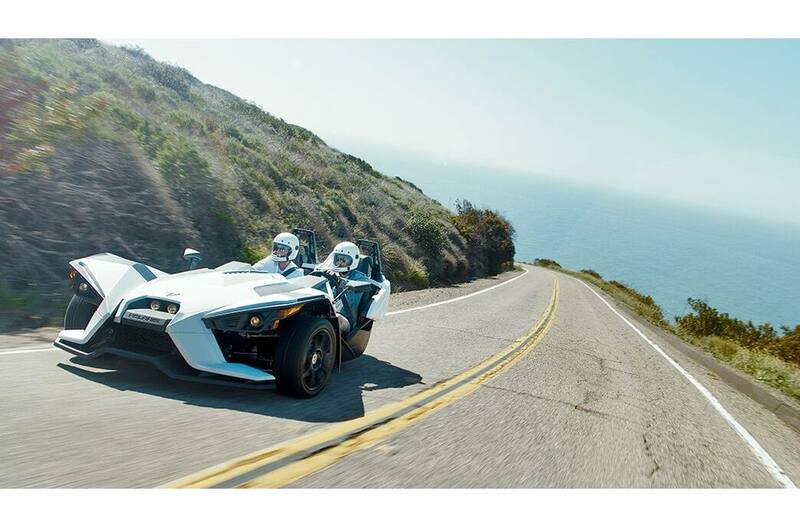 Subject to $50 deductible, no mileage limitation. See dealer for complete terms and conditions. 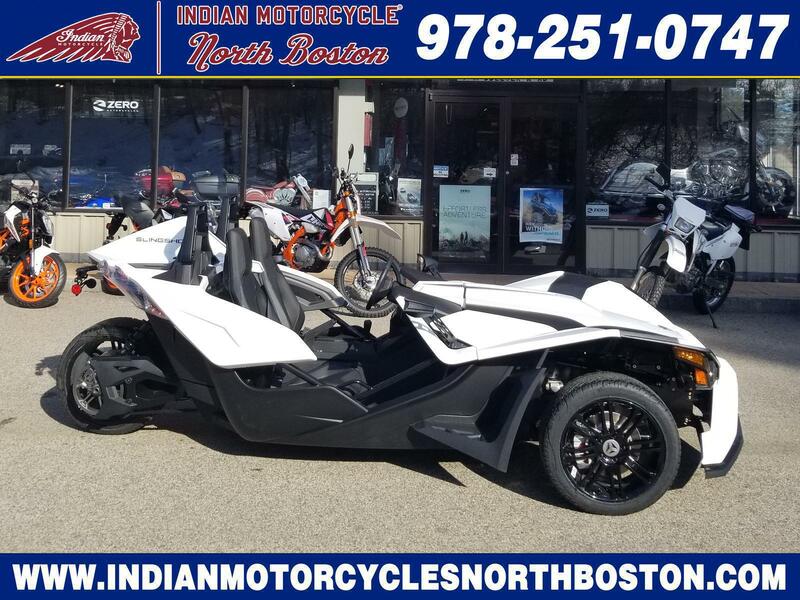 This is a limited time offer which is valid for the purchase of selected qualifying models and is subject to credit approval on qualified purchases financed during this program. Offer may not be combined with certain other offers, is subject to change and may be extended or terminated without further notice. 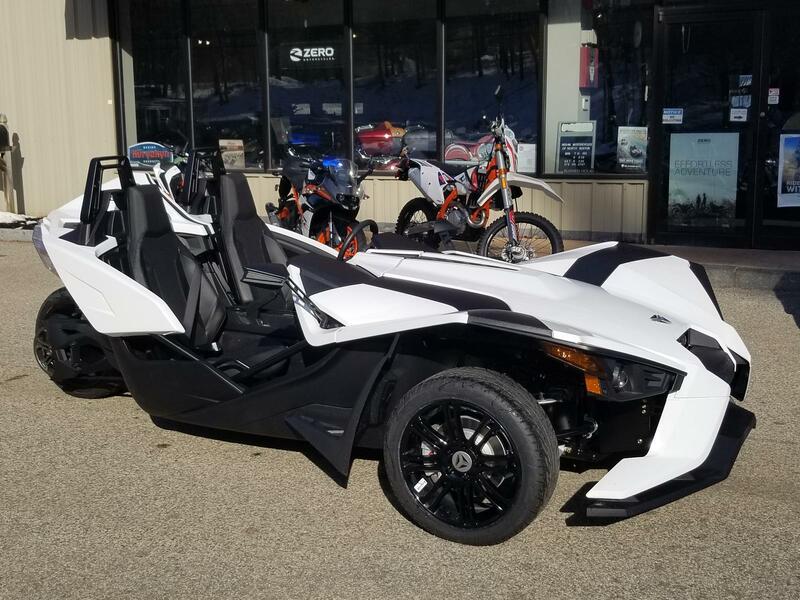 Offer available through Synchrony Financial, Sheffield Financing, or Performance Finance and valid on new 2019 Slingshot models. Monthly payment and cost of borrowing will vary depending on amount borrowed and down payment/trade. Minimum amount to finance is $5,000. 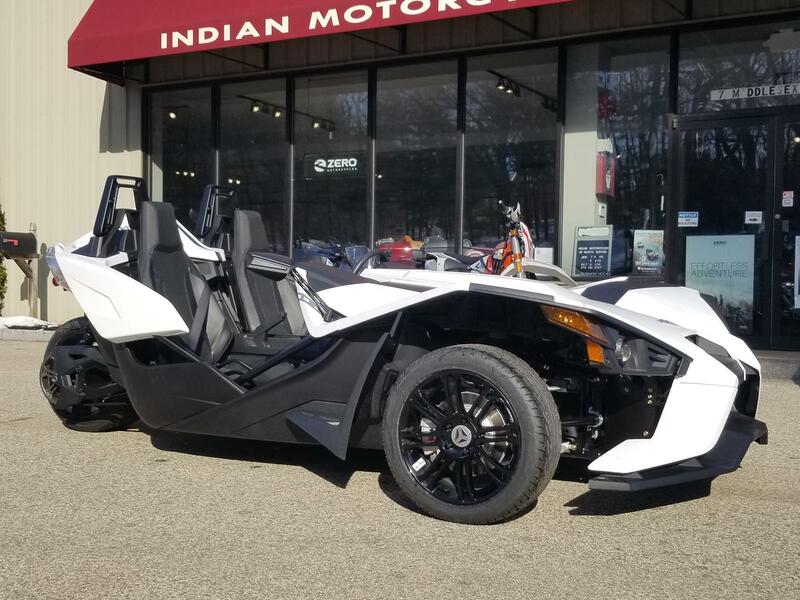 Example for MY2019 Slingshot SL: $25,999 financed at 3.99% APR over 36 months = 36 monthly payments of $767.48 with a cost of borrowing of $1,630.22 and a total obligation of $27,629.22. Monthly payment examples exclude tax, title & other fees. See participating retailers for complete details and conditions. Offer valid March 1 – April 30, 2019. 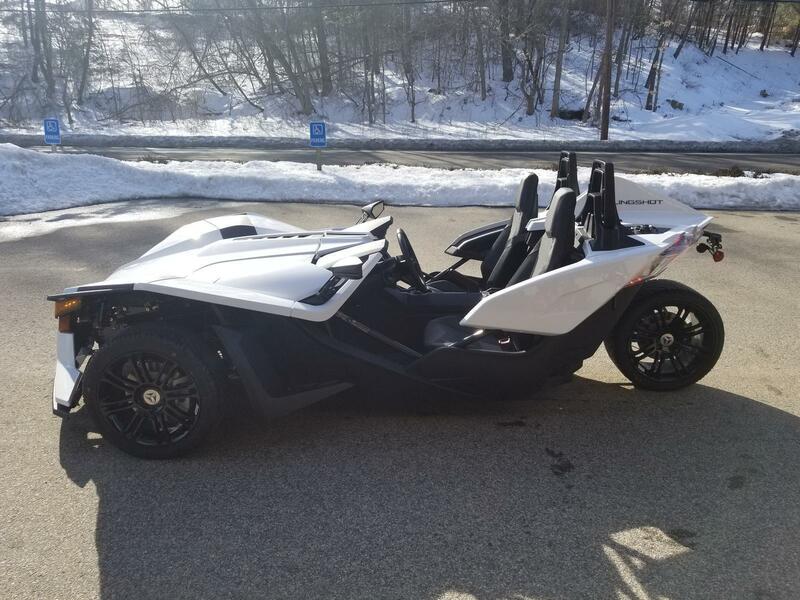 Offer valid only in the U.S. on new, unregistered 2019 Slingshot models purchased March 1 - April 30, 2019, and does not apply to prior purchases, racing, fleet, rental, or modified vehicles. 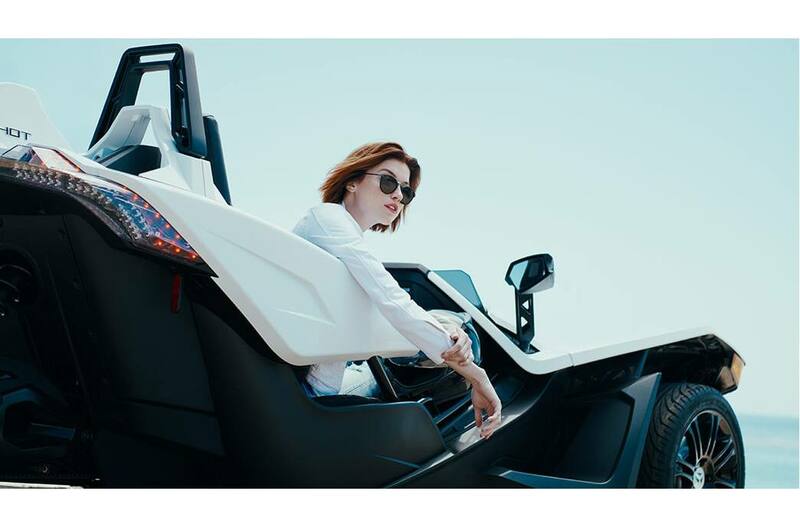 3 year Limited Warranty is promotional coverage which consists of 24 months factory warranty, plus 12 months Slingshot Protection Promotional Limited Warranty for a total term of 36 months. In all states, including Florida, this is given as a free of charge Promotional Limited Warranty. Subject to $50 deductible, no mileage limitation. See dealer for complete terms and conditions. RESTRICTIONS: Valid from March 1, 2019 - April 30, 2019. 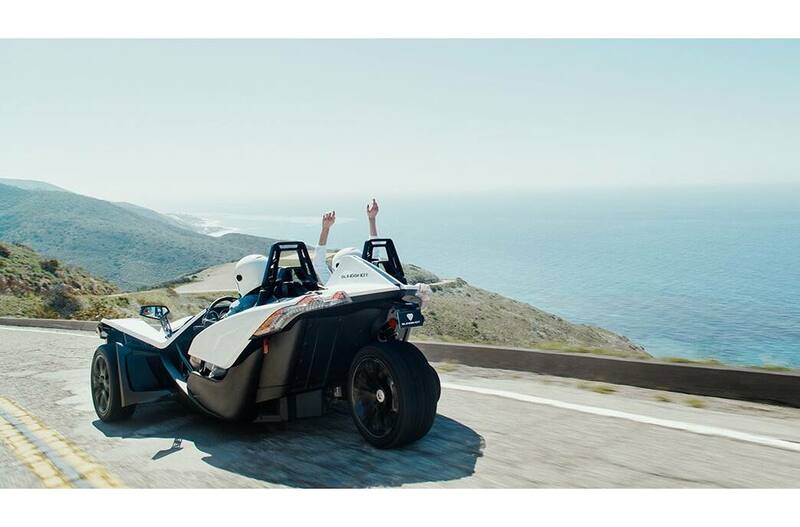 Get $40 (US or Canadian dollar) off Slingshot® Oil Change and Other Service, Valid Services: Air Filter Change, Brake Pad Replacement, New Battery, Drive Belt Change OR Get $100 (US or Canadian dollar) off $500 (US or Canadian dollar) Purchase of Slingshot® Parts and Oil Products. Labor cost not included. Physical coupon with valid code must be presented at time of purchase for discount to apply. 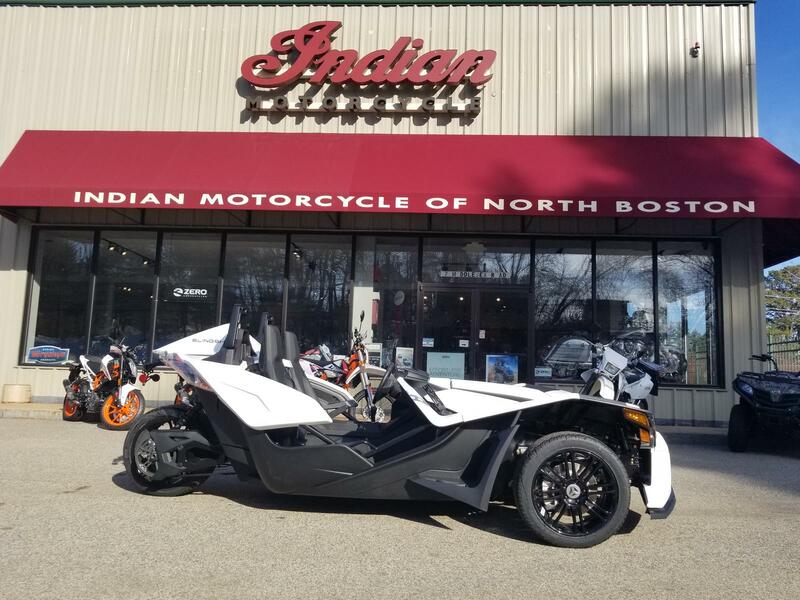 Dealers and employees are not eligible for the discount. Not valid on non-Slingshot products or after the expiration date. The coupon cannot be used in combination with any other coupon or offer. While supplies last. 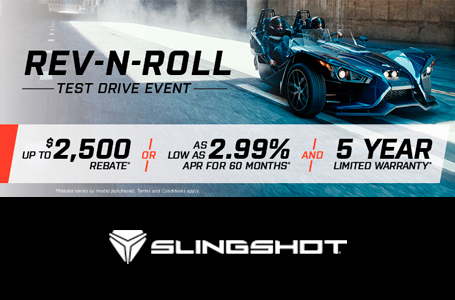 This offer may be discontinued or modified at any time by Slingshot®. Offer available only in the U.S. and Canada, and is void where prohibited by law. 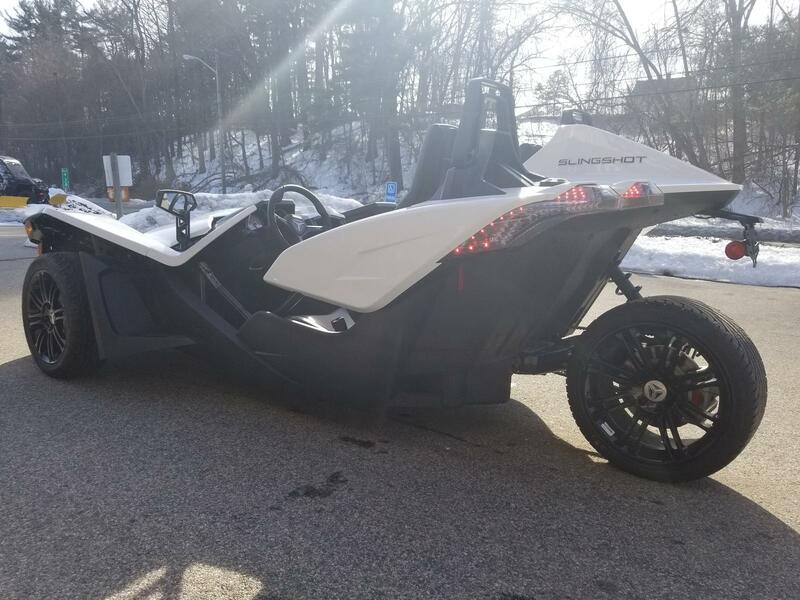 By submitting this coupon with your name, address and email, you authorize and consent to Slingshot®, Polaris Industries Inc., and its authorized Slingshot® dealerships contacting you via phone, email, direct mail and other forms of communication about Slingshot®, its products, offers, or marketing materials. 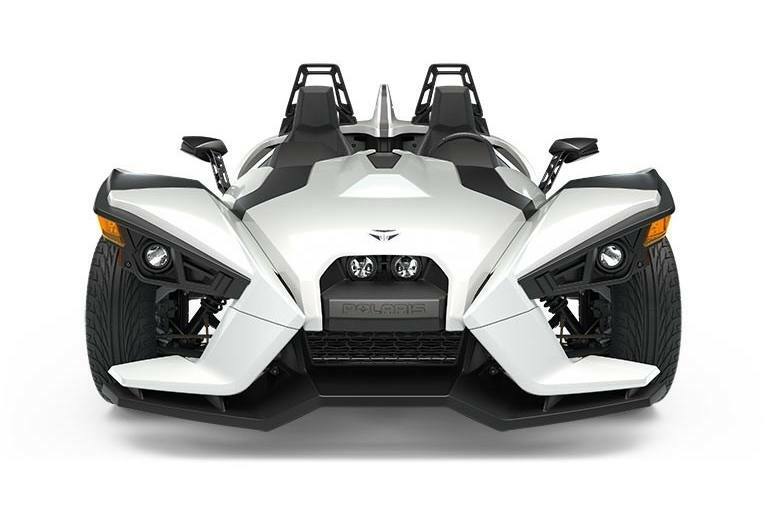 Slingshot® is a registered trademark of Polaris Industries Inc. Always wear a helmet, eye protection, and protective clothing and obey the speed limit. Never ride under the influence of drugs or alcohol. Only one (1) $40 off Service or $100 off $500 coupon per customer can be submitted.